Ok, I've been MIA for way too long but while I've been away I've been busy at work here at Ironhaus Oz, moulding and casting up the latest UOV figures on offer. 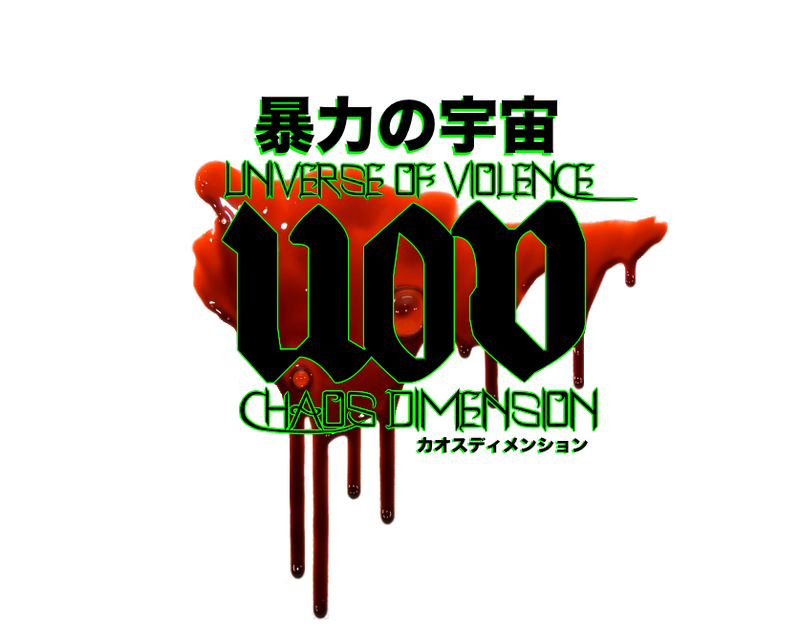 The time has finally come to get the ball rolling on the UOV:CD Wave Two release! There's a lot of info to go over, so best get right into it. I will be adding the new figures into the STORE over the next few days, but before that I need to breakdown what's on offer, as things will be a little different this time round. As you probably know, I have amalgamated my MetalMonkey brand with my good friend and talented toy artist, Jimmy Rommel's Ironhaus Productions (U.S.A) to form the Australian division "Ironhaus Oz'. It's been an exciting time for me, slowly learning how to mould and cast! I am using Task 16 Urethane to cast, the same stuff that Eric Nilla has been using (he kindly hooked me up with some amazing silicone & rubber. Thanks bud!). I made all sorts of mistakes along the way. Huge learning curve. Im fortunate that i've have had so much great advice from friends in the know, that I wouldn't have got where I am without their help. For instance, I got the ratio a bit off when mixing the urethane, and the figures have turned out a bit firmer than regular rubber figures you may be used to. Not a bad thing really. As this Wave two release coincides with the establishment of Ironhaus OZ, as well as me being equipped to finally mould & cast, I've taken on board some of the feedback I got last time, and I hope to make this release a bit more fun. And of course that means more toys, cheaper. Not to mention freebies. Did I mention those? Anyways, on with the figures already! Yeesh. So, for Wave two we have 5 figures on offer. 2 returning figures from Wave One: Satyrant & Maneater, in what will most likely be their final release ever. These guys have had a good run. Up until now, they've been available in my store here in OZ, in Eric's store in the U.S, they had a small release in this years Clutter Gallery InActionFigures3 toy show (Again, thanks to the AWESOME Eric Nilla), and here they are for one last round. As usual, these guys have been cast in Task 16 rubber by Eric Nilla in the U.S and will be sold blind-bagged and in random assortment of colours. There are the standard variants mixed in for good measure, including thermal reactive figures & Glow-in-the-Dark. (With a little help from the magic sprites at SolarColorDust.com). 3 ALL NEW figures making their debut for Wave Two: West Nile, Deadface II & Hell Chicken! Sculpted by the amazing Jimmy Rommel of Ironhaus USA, and cast right here in Ironhaus Oz in a non-toxic firm rubber thats been UV treated against fading. These guys are prety badass, and add a whole new threat to Chaos Dimension. Hell Chicken is the first BOSS figure for UOV:CD, and introduces some new elements which we'll get to later. These guys will be done two ways; first, we have an official roster of colours that will become the staple for future figures here at Ironhaus Oz. These 12 colours will be available by selecting your colour choice from a list, as as such these figures will be available in multiples of each colour. They will be a recurring thing, so those figures will most likely be made again so don't sweat it if you miss your favourite colour.The 12 colours are, what I feel, some of the more classic and fun colour-ways you would expect your favourite mono-minis or keshi figures to be found in, so hopefully sit right at home in your collection. Secondly, there will also be some Blind-bagged Wave Two figures available. These figures are one-offs and most likely never be made in that particular colour again. To spice things up, there are a heap of variants scattered randomly throughout both the 12 regular colours & the blind-bagged one-offs, including many scented figures, Glow-In-the-Dark, Thermal reactive & Glitter. There are even some translucent figures in both rubber and resin too, but extremely limited in numbers. The regular 12 roster only has scented figures mixed in, and since GITD (green) is an official Ironhaus OZ colour, that doesn't count. Most variants will be found in the blind-bagged packs. Go figure. Speaking of packs, all UOV:CD figures will come packaged in a custom art header and include one battle card. The cards all have stats on their backs, and people have been wondering what this is for. As some of you guessed, its for a simple turn-based battle game named Death Match! The cards for both Satyrant & Venus Maneater underwent a few balance tweaks, as well as being printed on slightly larger cards with larger images, with added Japanese text. Also, anyone who got in on Wave One figures earlier, let me now and I'll throw in some free replacement cards for you in your next order. Comparison of new (L) and old (R) Death match cards. Since this is Ironhaus OZ's debut and I'm only new to casting, I will be dropping the prices on my figures for a while. The figures are far from perfect, and may have the odd air-bubble or flashing, or be a bit tipsy on their feet and have troble standing but overall they are pretty good. Cost: All figures are sold in USD. SHIPPING NEWS: One of the bigger hindrances of UOV:CD Wave One that fans found prohibitive were the expensive shipping rates that the Australia Post charge for their services. Unfortunately, I cant help that but having said that, Ironhaus U.S.A will redistribute any orders placed here at Ironhaus OZ. This means, I will cover the initial cost to send collated orders to the states for distribution, but you guys in the states will only pay a local flat rate for your orders! I will find out exactly how much and *update this part soon* but expect it to be a fraction of what it would cost normally. We would rather get more of these toys to you, and help you keep costs low. After all, we are toy collectors too and know how it is. More money for toys is always a good thing! Finally, as an added incentive all orders will receive freebies *while stock last! There are some postcard sized magnets, some stickers, free upgraded Wave One Cards (for anyone who ordered before) and even some extra rubber goodies! I'm including some Norwegian Vikings that I practised moulding/casting on. They will be randomly distributed amongst orders until they run out. There are some ...other rubber monstery-goodies that may make their way into early orders too.. I've been practicing a whole lot, and they're kinda rough around the edges. But, FREE toys people. Iron Vikings: free with every order while stocks last. Last but not least, I will have a bunch of miscasts up for grabs for USD $2 each, sold blind-bagged. These are only sold on the provision that they are not to be resold again. Seriously. If you buy any of these and dont want them, give them away. If you cant agree to this, please dont buy them. Phew. I think that covers everything. I hope you guys like whats on offer! Any questions or whatever, post here or you can reach me at LittleRubberGuys toy forum under the username: MetalMonkey or you can usually find me on Facebook. Laters.